German's opposition leader says Israel uses apartheid policies in Hevron, sparks outrage from Jewish group, rival politicians. A prominent Jewish organization in Germany and rival politicians reacted angrily on Thursday, after the country’s top opposition leader suggested Israel was using apartheid policies against Arabs. According to a report in the European Jewish Press (EJP), the comments were made by the head of the centre-left Social Democrats (SPD), Sigmar Gabriel. 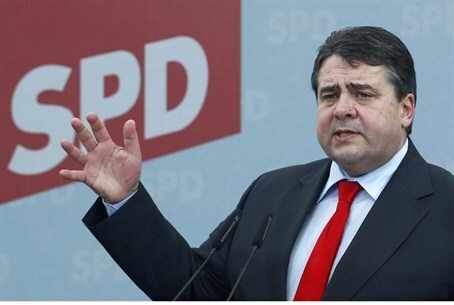 The report said that Gabriel, who hopes to replace Merkel as leader of Germany in elections expected in late 2013, sought to clarify his remarks in later postings on his Facebook page.